I was really happy to get an email with an update on the Oklahoma Tray House today. The work is progressing nicely at the wooded site. 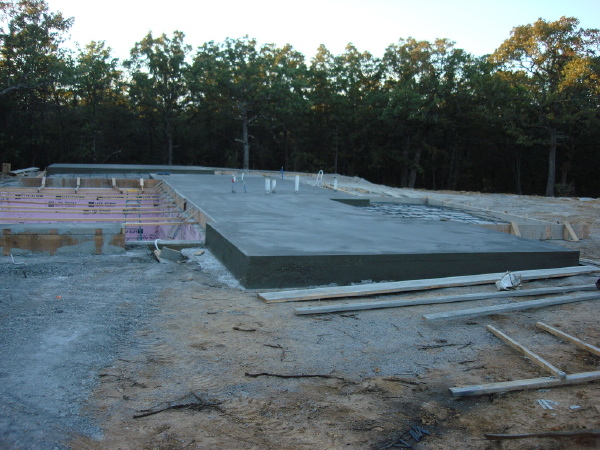 The foundation is complete and the owners have used some interesting building systems on their house. The greatest part is the unbridled enthusiasm of the owner. They are truly excited about their new house and its hard to not get infected with their excitement. Last time we posted photos from the owner we saw a nice hole for the basement. And now today the foundation is complete. 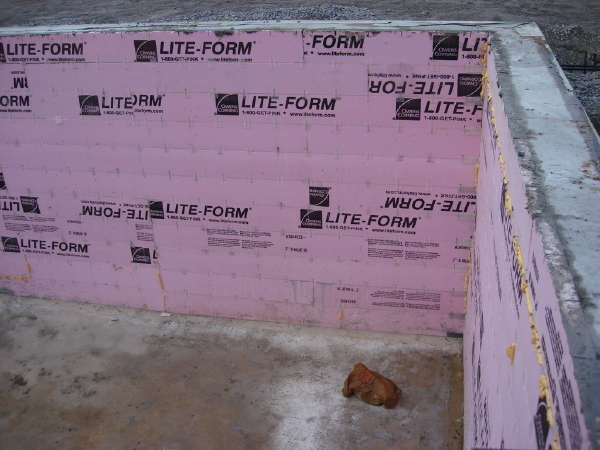 The foundation wall is cast in place concrete, a great choice, and they have used an insulated form system marketed by Owens Corning. It uses specially formed plastic ties to hold together two layers of insulation, one on the inside and one on the outside while the concrete is poured between them. These plastic ties can also support reinforcing bars if they are included in the wall design - a clever design and different from the foam "lego" block style of ICFs. 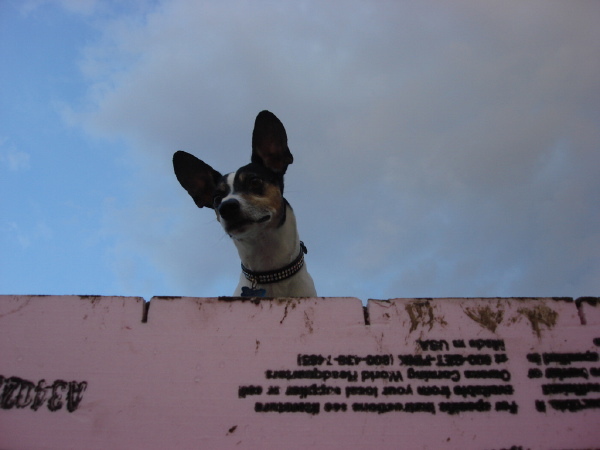 The result is a poured concrete wall between two layers of insulation. The best part is you can screw wall finishes directly to the ends of the plastic ties and no additional studding is needed. The Tray House design has a half basement, and a half crawlspace, but they have elected to use a slab on grade instead of the crawlspace section. One thing this does for you is it allows you to get the finish grade closer to the floor level at the front of the house. Fewer steps up into the house are required, and at the back where the grade falls away there is plenty of room for the floor joists over the basement. 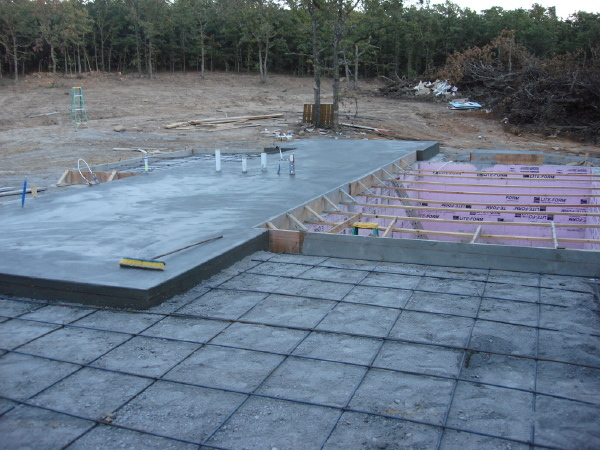 You can also see the floor slab of the garage and the preparation for the paving in the carport. You can see more photos in the owners flickr set. We have also created a LamiDesign flickr group with the hope of encouraging customers to share photos of their builds. Our thanks to the Owners for sharing their progress with us here.